Over the past few weeks I have enjoyed the desert with good friends. 16Z has many amazing routes, few people and next to magical camping. On my last trip out there we “discovered” several high quality boulders (in quotations because many people have talked about having walked through them before). 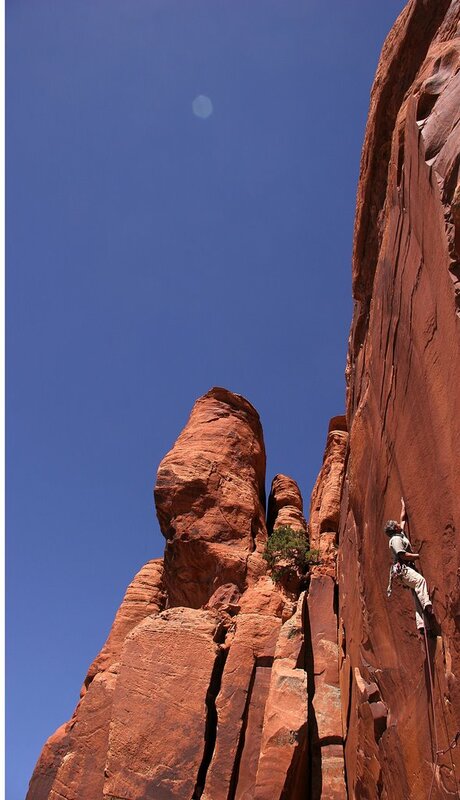 Since that time a few friends have gone back to clear landings and work various problems on many boulders. This area is accessed from the 16Z road and is encountered about half way to the main climbing area. (Photos of this area and bouldering are forthcoming). 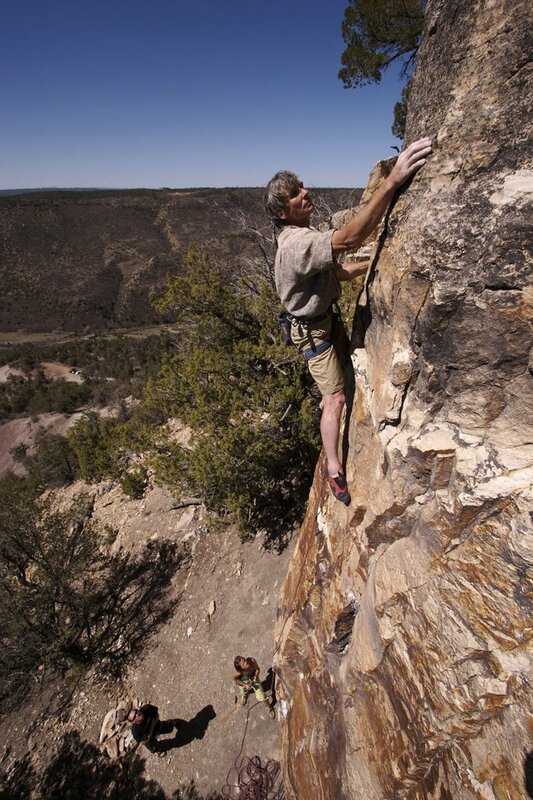 See photo of Charlie Fowler on one of 16Z’s classic crack routes! Another area visited recently is Clay Creek, location just outside of Norwood CO. 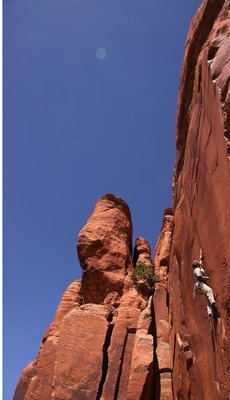 This area has about 50 routes ranging from 40 to 50+ feet high—short but fun climbing. The short approach and sunny weather has made this area popular with the Ridgeway, Ouray, Telluride climbing contingent. It is possible to leave the mountains in Jan/Feb/Mar, where temperatures are near freezing, and encounter favorable temps and sunny conditions. See photo of Charlie on the first route established in this area, Dr. Evil, 5.11-.